Vienna Museums. Where to see Gustav Klimt paintings, where is the Museums Quarter, and where to learn about Hitler and World War II? There are more than 100 Vienna museums, housing everything from world renown 16th century oil paintings to curious objects. My personal shortlist below will help you pick and choose what you want to see. 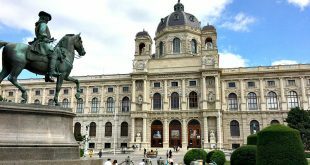 Why it ranks among top Vienna museums: As a matter of fact, Kunsthistorisches Museum is the most popular of all Vienna Museums. It is a treasure chest of classical art and one of the leading princely collections in Europe. 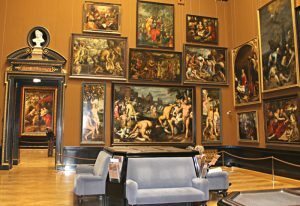 This Vienna museum has the largest Bruegel collection in the world, and exhibits major art works by Raphael, Rembrandt, Rubens, Tintoretto, Titian, Vermeer, and Velazquez. Explore the museum in more depth in Vienna Art Museum. Why it ranks among top Vienna museums: Not only is Museumsquartier Vienna’s largest museum complex, it is one of Europe’s ten largest cultural areas; the ‘MQ’ spans more than 10 museums and cultural institutions in a massive Imperial building, housing a series of design restaurants, bars and shops. Certainly, the ‘Egon Schiele Museum‘, as many call the Leopold Museum, is the most popular museum of the MQ. If you love Art Nouveau (Gustav Klimt, Egon Schiele, Wiener Werkstaette) you are halfway to paradise. In addition, Museumsquartier represents a great place if you visit Vienna with kids, not least due to its vast outdoor space and the Enzi lounge chairs, a Vienna design success story. Opening Hours: Kunsthalle Wien: Tuesday to Sunday 11.00am–7.00pm; Thursdays 11.00am–9.00pm; Leopold Museum: daily 10.00am–6.00pm; Tuesday closed; Thursdays 10.00am–9.00pm; June to August the museum opens on Tuesdays; Museum of Modern Art: Tues, Wed, Fri, Sat, Sun 10.00am–7.00pm; Mondays 2.00pm to 7.00pm; Thursdays 10.00am–9.00pm. Why it ranks among top Vienna museums: If you love classical art, the Belvedere is a must for two reasons. First, the former summer residence of General Prince Eugene of Savoy houses the largest collection of Gustav Klimt artwork in the world. Second, the Belvedere keeps the largest collection of national art, at the Austrian National Gallery (Upper Belvedere). The Lower Belvedere is popular for its contemporary exhibitions. Learn more about the Belvedere Vienna. 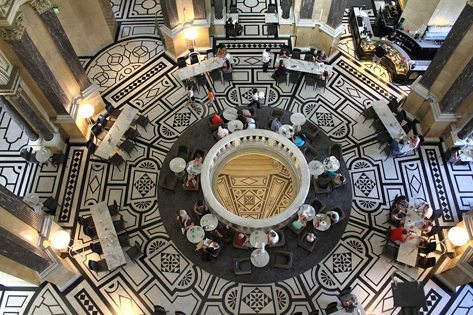 Why it ranks among top Vienna museums: On the surface, Albertina Vienna is just another of the many Vienna museums located in splendid old buildings. Scratch beyond and you will discover the most stunning restored Imperial Habsburg state rooms. I love the lavish authentic interior decoration which uses original vibrant colour schemes. What is more, you can see an amazing Drawings Collection and key pieces of international modern art there: from French Impressionism, Post-Impressionism, and German Expressionism to Fauvism and the Russian avant-garde. What to see and do at the Albertina Vienna. 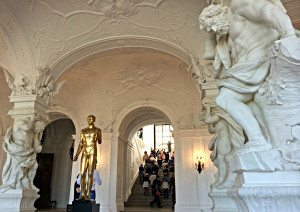 Why it ranks among top Vienna museums: In contrast to the widely popular museums above, the Vienna Museum is probably the most underrated in this city. Specifically if you are interested in Viennese history, this place is a MUST as it rolls up all of Vienna’s history and brilliantly showcases Viennese urban life in the past 500 years. On top of this, the Wien Museum exhibits world renown paintings by the likes of Peter Paul Rubens and Gustav Klimt and has recently built a reputation of fascinating temprorary exhibitions. 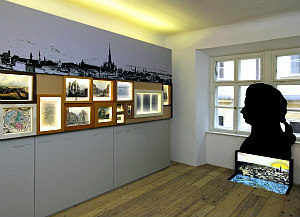 Learn more about the highlights of Wien Museum. NOTE: Due to comprehensive extension and refurbishment, Wien Museum will be closed from 3rd February 2019 until 2022. Why it ranks among top Vienna museums: While at first glance the wow factor is missing real Mozart fans will sink their minds into the Mozarthaus. Resisting the temptation to replace the missing original furniture with historic fakes the museum relies mostly on paintings, drawings and letters. For me, the most striking element was the historic courtyard – a beautiful example of 17th and 18th century living in Vienna. Read my full review in Mozart House Vienna. Why it ranks among top Vienna museums: Although a clear pilgrimage site for Freud fans, the Sigmund Freud Museum also opens a door into Fin-de-Siecle Vienna and the World of Yesterday (Stefan Zweig). The small privately run museum is located at Freud’s former practice and apartments in a bourgeois residential district. Focused on exhibiting Freud’s work and life you will explore lots of photographs, some of Freud’s personal objects, and original furniture. 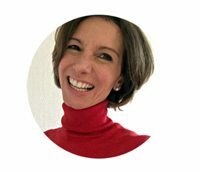 To capture the essence of Sigmund Freud and his time, I went there with a private guide. 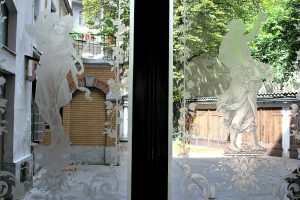 Learn more about the Sigmund Freud Museum and how to best enjoy it. 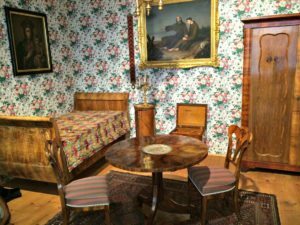 Why it ranks among top Vienna museums: Definitely, the Hofmobiliendepot (Imperial Furniture Collection) is one of the best traded museum insider tips. Notably, that off-the-beaten-track depot represents the largest collection of furniture and of Biedermeier interiors in the world! Why it ranks among top Vienna museums: This private Vienna museum expresses not only the passion but the expertise of its owners and management. At the Chocolate Museum brother and sister Bojan and Jovana Misaljevic, together with a boutique cocoa trader, realised their dream of sharing the history, culture and delights of the cocoa bean with the public. Through history and art installations, games and workshops you will get to the bottom of Vienna’s sweet culture. 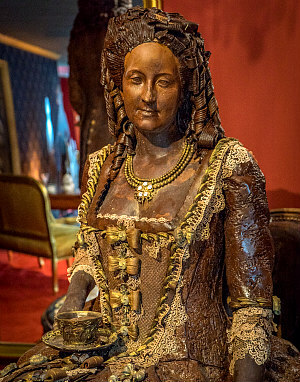 Like, for example, Empress Maria Theresa’s obession with chocolate (see photo). Read my review. Why it ranks among top Vienna museums: The Museum of Military History (Heeresgeschichtliches Museum) holds a few amazing artefacts of 400 years of armed conflicts that shaped Vienna’s history. Located in the Habsburgs’ former central armoury the museum exhibits things like a 17th century Ottoman tent (replica from the Turkish siege in 1683); glittering military uniforms from Emperor Francis Joseph’s era; Archduke Francis Ferdinand’s car where he was shot in 1914 (triggering World War I); Nazi propaganda posters and a car from the Allied Forces following World War II. A great place to trace our history, even if you aren’t a military fan. 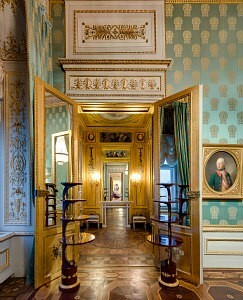 Why it ranks among top Vienna museums: Never has a private Viennese museum filled an ‘insight gap’ so brilliantly. 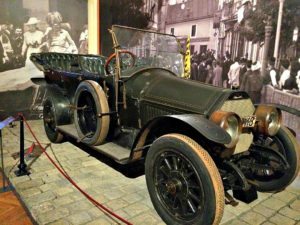 Known as the Dritter Mann Museum (Third Man Museum), this place doesn’t only pay tribute to Graham Greene’s cult film with Orson Welles. Over the past twenty years, passionate museum owner Gerhard Strassgschwandtner has collected dozens of photographs, personal interviews, letters and objects that illustrate life in post war Wien: a must for anyone tracing their ancestors or simply 20th century Vienna. Why it ranks among top Vienna museums: Vienna museums don’t get more exciting than this: The Haus der Musik (House of Music) is an extraordinarily brilliant and interactive museum of sound and music that has been fascinating all adults and children in our family. See my review of our visit to the House of Music. Why it ranks among top Vienna museums: Unlike any other place in Vienna Kunsthaus Wien shows off Gaudí-style hippie-Vienna in both art and architecture at its best. Learn why “the straight line is godless” (Friedensreich Hundertwasser) and other inspiring art concepts. In addition, Kunsthaus Wien is also the only Vienna Museum (and building in general) with tree-tenants growing out of the windows. Don’t miss the Hundertwasser-style mosaiqued toilets there (one of the 10 best ranked public toilets worldwide), and have coffee in the lovely garden of the cafe/restaurant in the summer. 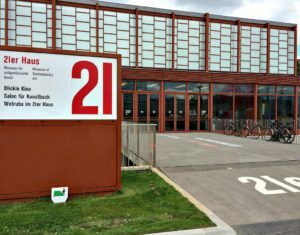 Why it ranks among top Vienna museums: The refurbished former Museum of the 20th Century, called 20er Haus provides a good answer to what Austrian artists have been doing between 1945 and now. For all who want to look beyond the National Gallery and Hundertwasser Vienna museums. The 21er Haus is run by the Belvedere Vienna, which is known for blowing fresh wind into Vienna’s museum management. Public Transportation: underground U1 to Suedtirolerplatz; tramways D to Schloss Belvedere, 18 or 0 to Hauptbahnhof (central train station). 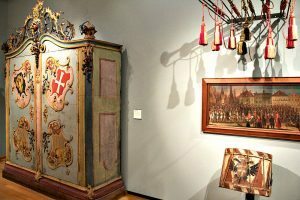 Why it ranks among top Vienna museums: The Volkskundemuseum Wien (Austrian Museum of Folk Life and Folk Art) shows the multiethnic Habsburg Empire as you have never seen it before. See popular culture from the former Habsburg Crownlands, which stretched from Austria’s Vorarlberg to Austrian Silesia, Galicia and Dalmatia): richly painted cupboards and chests, hats in various styles, homeware, farm models, a richly decorated typical tiled stove. The museum’s collection is housed in a baroque garden palace. It is small but hugely interesting as it shows you the flipside of Imperial Vienna. On this map you can find the museums of my shortlist above.